He was detained last week. 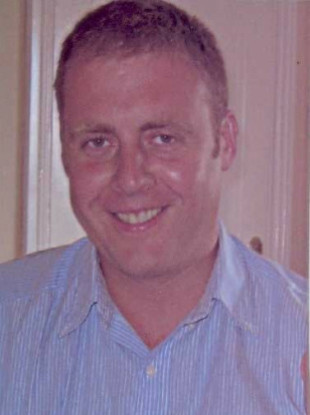 A MAN WHO was arrested in Dundalk on 26 February by gardaí investigating the murder of Detective Garda Adrian Donohoe was released without charge last night. The man in his 60s was detained in Dundalk, Co Louth, just a day after a man in his 20s was arrested in connection with the same crime. Gardaí are continuing to question a man in his 20s arrested in Dublin on the 25 February. They said the investigation is ongoing and further updates will follow. Officers had put out an appeal in relation to the garda’s murder earlier this year. On the fifth anniversary of the garda’s murder, Chief Superintendent Christy Mangan said “many lives were left shattered” by his death. Gardaí made thousands of enquiries and viewed over 20,000 hours of CCTV footage as part of their investigations into Garda Donohoe’s killing. Email “Man arrested in relation to murder of Detective Garda Adrian Donohoe released without charge”. Feedback on “Man arrested in relation to murder of Detective Garda Adrian Donohoe released without charge”.